San Francisco, Nov 17 (IANS) Indian-American Thomas Kurian, former Oracle President of product development and a respected technologist, is going to head Google Cloud from early next year, the tech giant has announced. The current CEO of Google Cloud Diane Greene will continue through January, working with Kurian to ensure a smooth transition and will remain a Director on the board of Alphabet, Google’s parent company. Hailing from Bengaluru, Kurian who worked at Oracle for 22 years reportedly quit over disagreements with Executive Chairman and CTO Larry Ellison over the future course of the company as Cloud business gets highly competitive. “Kurian, a respected technologist and executive, will be joining Google Cloud on November 26 and transitioning into the Google Cloud leadership role in early 2019,” Greene said in a statement on Friday. According to Google CEO Sundar Pichai, under Greene’s leadership, Cloud has become an incredible business built on Google’s decades of investment in infrastructure, data security, and AI. “We’re really excited to welcome Thomas whose product vision, customer focus, and deep expertise will be a huge asset to our growing Cloud business,” he said. Under Greene’s leadership, Google Cloud has moved from having only two significant customers and a collection of startups to having major Fortune 1,000 enterprises betting their future on Google Cloud. “We’ve built a strong business together — set up by integrating sales, marketing, Google Cloud Platform (GCP), and Google Apps/G Suite into what is now called Google Cloud,” she noted. Kurian said he “is excited to join the fantastic Google Cloud team at this important and promising time”. Kurian stepped down from Oracle in September. A member of Oracle’s Executive Committee for 13 Years, he led 35,000-people software development team in 32 countries with an R&D budget of $4 billion. Kurian helped in the transformation of Oracle’s products with introduction of leading suite of Cloud Services, led 60 software acquisitions and Oracle’s 45 Cloud data centres. 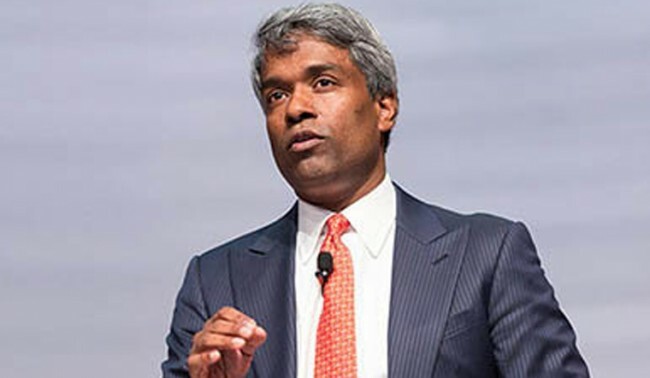 His twin brother, George Kurian, is CEO of California-based Hybrid Cloud data services and data management company NetApp and a member of the Board of Directors.